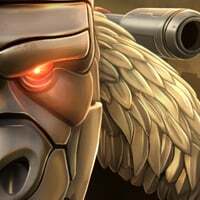 It’s time for the highly anticipated update to Alliance Missions! The first thing you’re going to notice is that all of the names have changed. Every Encounter, Boss and Buff on all of these Maps have been updated. And that’s not all… The brand new Fractured Tomb map (Map 3) has been completely revamped with a new Layout, and now goes up to Difficulty 120! We wanted to get more creative with our usage of buffs in order to introduce new Alliances to more challenging fights, and create more engaging encounters for experienced players. We wanted to give Fractured Tomb a more streamlined Map, so you can focus more on the Fights, and less on navigation. We wanted to give more opportunities for players to team up on especially difficult fights. And lastly, we wanted to change up linked nodes so that our more daring Commanders can still try and fight through a linked node without it being impossible. All new encounters means all new Mini-Bosses and Bosses! When player's Bot activates a Buff, the boss will activate a similar Buff. Every 7.5 seconds, alternates between 39% Physical or Energy Res. Heavy Attacks randomly inflict the opponent with a Stun for 1.5 seconds, Power Lock for 4 seconds or a 25% Armor Break for 7 seconds. Heavy Attacks Stun for 2.5 Seconds. If not struck by a melee attack within 6 seconds, Power Gain for 3% every second. Heavy Attacks randomly inflict the opponent with a Stun for 2 seconds, Power Lock for 5 seconds or a 35% Armor Break for 7 seconds. When hit by a Special Attack, this enemy gains 1 Bar of Power. Every 7.5 seconds, alternates between 55% Physical or Energy Res. When Hit this bot generates a Power Charge. When this bot reaches 8 Power Charges, the next successful hit within 5 seconds consumes all charges, generating 300 Power. Every 7.5 seconds, alternates between 65% Physical or Energy Res. Heals 75% of opponents Attack when hit by a Basic Ranged Attack. Cycles through Melee, Ranged and Special Damage Resistances. All resistances are at 130%. Basic and Heavy Ranged Attacks drain a small amount of Power on Hit. Basic and Heavy Melee Attacks drain a small amount of Power on Hit. You’ll notice that the Crystal rewards have not changed. Don’t worry! We’re trying something new here, and we want to make sure that we have the balance right before we update the rewards. We want to make sure the rewards match the difficulty. So, while there isn’t a change to the Crystal contents just yet, we are working on that! We’ve also added T4C Spark Crystal Fragments to the Top 10 Rank Rewards, and a new Top Milestone of 30,000,000. Expect a more comprehensive Rewards update after you’ve had some time with the new Maps! We've been waiting so long for this... But what happened to Thundercracker? Or did we just take a major L on that hype train? Lol. You're hype on nothing. I don't thing Kabam have mention Thundercracker as a new bot. That's only rumour. That's 15% instantly on every block? Question on the power charge mod. Does it still behave the same as from recent spotlights or has it gone back to how it originally functioned? @Kabam Miike What’s the date this starts? What’s up with those bot buff? Can we get them in conjunction with the new map please! These new maps will be live with the new Alliance Mission series that starts this week! So this Thursday, April 4th! Power Charge acts in the same way it recently has been. 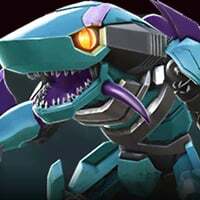 So will the update be available before Thursday? Having it go up on the day AM starts could lead to some headaches. hacked aim enhancer and focus repair -- please explain. Well he is being nerfed a bit but unblockable basic attacks? Seriously? What are you guys smoking over there? Please share with the rest of us. It's per second, so you'll want to get REALLY GOOD at breaking blocks! 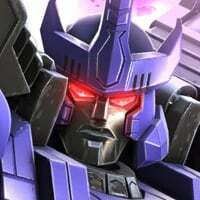 Hey @Kabam Miike But what happened to Shady Starscream? Sorry if I read over it but are milestones rewards getting updated too? Right now we've only added 1 milestone to the end, and reworked the Top 10 rank rewards. But that's only for now! We'll be doing a more comprehensive revamp of the rewards and the crystals soon! 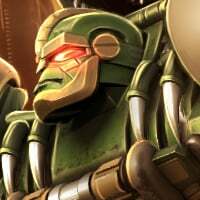 @Kabam Miike what bot is your avatar a Starscream or Thunder Cracker ? My head hurts from reading that long post. Guess we'll adjust accordingly. Good riddance of the Power Wipe mods. Any idea what "Hacked Aim Enhancer" might be? Path 2 in section 3 seems really overkill. Overall, my biggest complaint is that this map is filled with power rate gain mods! Honestly, its the worst mod to deal with next to evade mods, and this map is filled with them. Otherwise, I'm excited to try out the new map. So you mentioned the link nodes effects are going to change (i.e. no more having to clear both link nodes to beat Miniboss 3 in Map 2... Huzzah!). Can you explain further on how Link Nodes will work in the new Dark Horizons AMs? @that1guy I guess Hacked Aim Enhancer means basic ranged attacks are unblockable since it's in room 2. Was there a beta test on these updated maps, and of so, who tested them? We've seen hacked aim enhancer before, a long time ago. An alliance mate of mine remembered it. It randomizes ranged speed. are we getting split top 3 rewards again? pretty sure the top 3 alliances are close in levels so some competition in this game again would be fantastic with this new map.